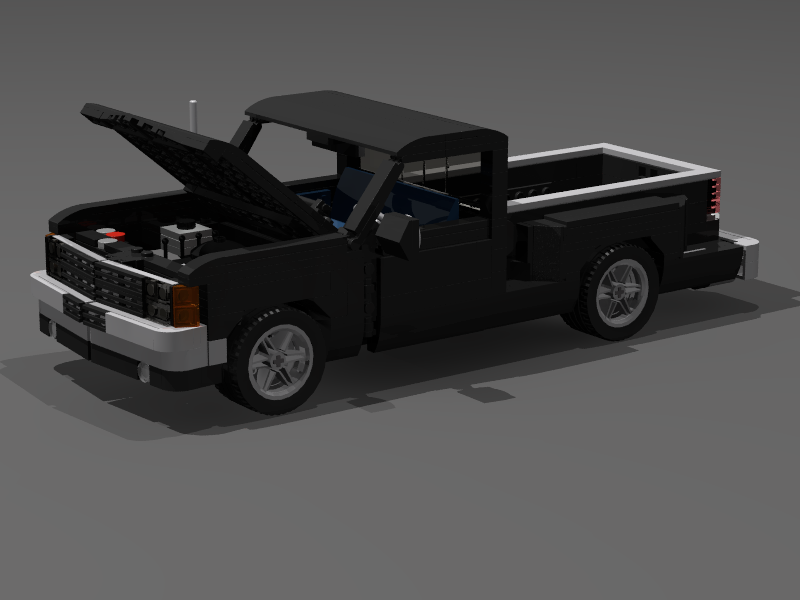 This is a moc of a 1989-1990 C stepside pickup. Doors open, hood opens, tailgate opens as well. The truck weighs in at just under 760 pieces with tons of details including numerous engine and engine compartment caps, containers, plug wires, battery, full interior with rear view mirror too! I made this as a real build, then transferred to digital for others to enjoy, so I have tested functionality as well as playability. Hope you enjoy! The instructions file comes as a fully rotatable Stud.io file, broken down step by step for a great building experience.